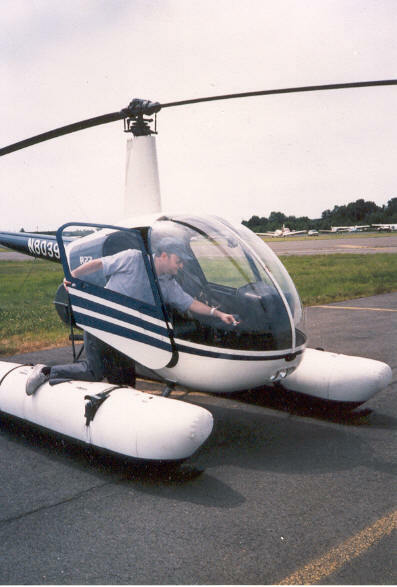 Me preflighting the Robinson R-22 helicopter prior to departure from Linden Airport. The route will take us over Staten Island towards Lower Manhattan. Then up the East River, around Manhattan and south along the Hudson River on the way back to Linden.